Vulkan Airxtend Ankle Custom Fit Support Non Slip. 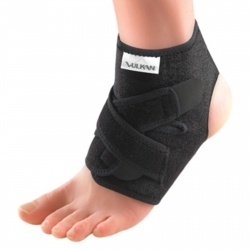 • Adjustable tension straps provide custom fit for controlled compression. • Sectional design minimizes slippage and bunching. • Open heel allows for a comfortable fit.